Nothing says fall like an outdoor fire. With the sun setting earlier in the evening and the nights getting cooler, a fire is the perfect way to warm things up and extend your outdoor social time for months. Thanks to the relatively mild winters here in the Winston-Salem area, a fire pit makes your outdoor living space enjoyable practically year round. As fire pits have grown more popular in recent years, the choices and styles have grown as well. You’ll find everything from fire bowls that can be set on top of a table to provide a little extra warmth outside to elaborate pits made with brick and mortar that are large enough to roast a pig. 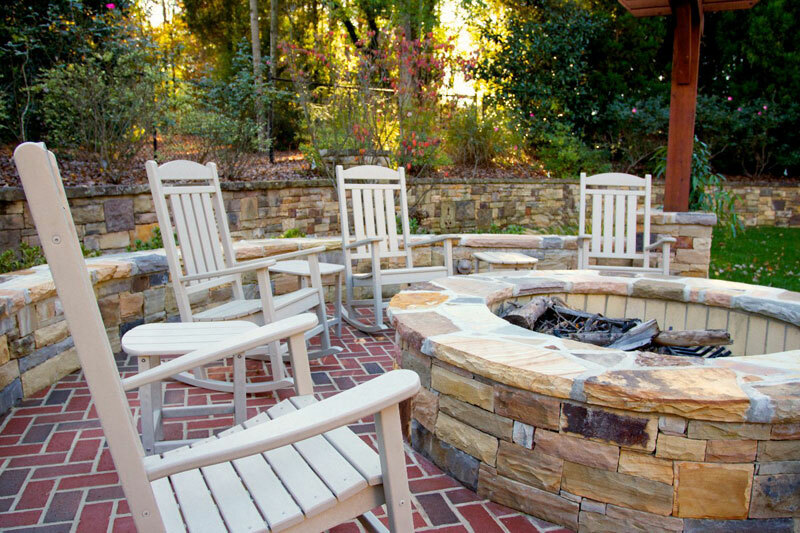 If you’re considering a fire pit this fall, here are a few considerations. The first thing to consider when installing a fire pit is where it will be placed. The fire should be at least 25 feet from the house and in an open area. For portable fire bowls you can put them wherever it is convenient. If you’re installing a permanent fire pit, think about seating arrangements and the view when you decide on your location. Before deciding on the style of fire pit you’ll use, think about the fuel you want. 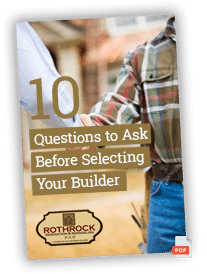 There are plenty of good options whether you choose gas or wood, and pros and cons to each. For wood burning fire pits you obviously have to keep a supply of dry wood available. Wood fires produce more heat than a gas fire, which is good if you are planning to roast marshmallows or need the added warmth. These fires also produce smoke as well as heat, which some people enjoy for the campfire smell and experience. On the other hand, if you’d like a more clean burn without the smoke and ashes, gas is a good option. They are quick and easy to light, making it very convenient. You just have to be able to run a gas line to the location of your firepit. Then choose the media that’s right for you, whether it’s lava rock or ceramic logs. Another big choice to make is whether you want to build something permanent into your outdoor living space, or if you want the ability to have fire when and where you need it, with a portable option. From fire bowls to chimeneas, there are plenty of stylish and functional choices when it comes to portable fire options. If you’re ready to make a more long-term commitment, a permanent fire pit can be a stylish feature added to your patio. The choice of materials abound here as well, with options including stone, ceramic tile or stucco finishes. Many people choose a dry stack stone fire pit, because of its structural advantages. Water is able to seep through the cracks rather than puddling up in the pit, and the burning fire can be stronger thanks to air from the joints. If you’re thinking about adding a fire pit to your landscape this fall, contact Rothrock Renovation and Remodeling. Our expert staff can help you plan and build the perfect patio with a fire pit that will bring you years of enjoyment.